The new game from Dark Souls developer FromSoftware is an original IP, but this almost wasn’t the case. The Tenchu series, an action franchise about ninjas, has passed between many different developers in the past. FromSoftware currently owns the rights to the IP, but the game they’ve unveiled at E3 – Sekiro: Shadows Die Twice – is a completely new ninja game. It’ll differ from their Souls games in several key ways. With all of this considered, you might wonder why they didn’t use the Tenchu license for this new game. Conveniently, director Hidetaka Miyazaki has addressed this in a new interview. Speaking to Japanese magazine Famitsu (as discovered by reddit user DrowningOtsdarva), Miyazaki has discussed the decision to make the game an original. The last game in the Tenchu series was Tenchu: Shadow Assassins for the Wii and PSP back in 2008/2009. FromSoftware handled development of the PSP version. There are a few other interesting pieces of information in the post. 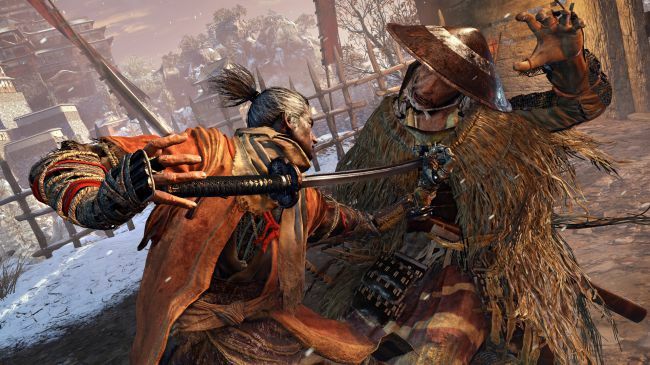 When you encounter an enemy, it’s rare that you’ll be plunged right into victory – Sekiro lets you be more tactical and plan your attacks out in advance. There will be no online system, with a pure focus on the game as a single-player action game. While the game has a fixed character, it’s not a “linear story-driven game” in the ways you might expect – it’ll be closer to Souls in how it tells a story. Sekiro: Shadows Die Twice is due to release in early 2019 for Xbox One, PS4, and PC.